When we left for our trip in June2009 Twitter had been around for a little while but it hadn’t really taken off…or at least I didn’t realize the value of it at the time. 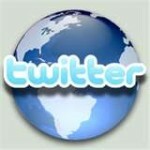 Since returning I’ve learned much more about how Twitter works and how it can be used as a traveler. I’m no expert by any means but I do think that knowing how Twitter worked would have changed how we traveled. Over the next couple of weeks I’ll share what I’ve learned so that you can put it to use in your own travels!! Wow, this turned out to be a bigger series than I was expecting! I know more about Twitter than I thought I did…and now you do too! And of course this is just a travelers dip-of-the-toe into the whole tweeting thing. You can be sure that there are folks who use it in far more sophisticated manners than this but, for me, this is enough. I think the biggest take-away is to remember that Twitter is about people. People just like you sharing their thoughts, ideas and stories in small bites. People who want to hear your thoughts, ideas and stories and who want to help you find what you need. Don’t over do it though. It can be easy to get caught up in it all and forget that travel is primarily about discovery. Use Twitter to help you and to connect but don’t forget to get out there and keep discovering. I hope you liked the series and found it somewhat helpful. I ask that you share it with all you know who might also find it helpful by posting on Facebook, tweeting about it or Stumbling it. What? You don’t know about Stumbling? Hmmm…maybe I see another series in my future…. Please let me know if you have any questions and don’t forget to stop by and say hello on Twitter. You can find me at @OneGiantStep. 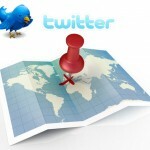 Twitter Travel Tips: What The Heck Is Twitter? This is what it’s all about. The social aspects are fabulous; the connections you can make are useful and interesting; the support available is surprising; but the most useful part of Twitter is the information you can get and, when you’re traveling, it seems you can never get enough information! Want to know where the best ceviche is in Lima, Peru? How about which hostel is the best for parties in Berlin? Need to know how often the buses run between Istanbul and Ankara, Turkey? All this information is just a tweet away! You could tweet out a specific question to your followers, and ask them to retweet it, or use a #hashtag to reach a broader audience of folks who might just be in the area you’re asking about. I did this by email while I was traveling but was limited to only being able to contact people that I knew had been to a place. With Twitter you have the ability to connect with anyonewho sees your tweet. This magnifies the power and almost guarantees that you will get an answer to your question. Beyond information about a specific destination, we also had need for general travel information. Did we need to get a visa before we hit the Turkish border or could we get on on arrival? How much would it cost? Is the border between Laos and Vietnam open at a particular crossing or should we find a different route? How are the Red Shirt protests in Bangkok affecting tourism? Are the taxis in Cusco on strike again? Twitter allows for up-to-the-minute information to be shared in ways that email and news sources cannot. You’re connected to real people who are right there and can give the most recent accounts. We spent hours scouring the internet for deals on flights, hotels and car rentals. Many of these companies are on Twitter (and/or Facebook) and regularly tweet out deals only to Twitter followers. Following airlines, hotel chains, hostel sites etc can get you on the fast track to saving some money! We also contacted companies directly with great results. For our birthdays I emailed the hotel we planned on staying at to let them know how excited we were to be staying at their hotel to mark our 6 month travel anniversary and to celebrate both our birthdays. The Ista Amritsar hotel went out of their way to make us comfortable. You could do the same with Twitter. Many companies follow their own @mention and #hashtag. You could tweet out about your intentions or even make a special request. For example: Looking forward to my @GAPAdventures tour this weekend! or Can’t wait to stay at the #yvr #sheraton this evening…hoping for an upgrade . You just might make a connection and it’s connecting with real people that make the experience better. Companies rely on more than just advertising for business and customers. There is no stronger sales method than word of mouth and savvy businesses watch their Twitter feed to see what customers are saying about them. Good feedback is always welcome and I encourage you to use Twitter to provide positive feedback on products, services or experiences you have had. I especially like to promote small local businesses but all companies benefit from satisfied customers telling their friends. Negative feedback should be used cautiously. On the one hand, you don’t want your tweeps to have the same bad experience you had but, on the other hand, we have to be careful of the power of our tweets. If you’ve had a bad experience with a company make sure that you try to deal with it privately with them before publicly ‘outing’ them. A company deserves the right to fix a wrong before you tweet it out to all your followers. Having said that though I have heard of people not getting anywhere with a complaint until they put it out on Twitter…and then the company was ready to resolve the issue right away! The information available on Twitter and from other Twitter followers is limitless. All you have to do is tap into it! 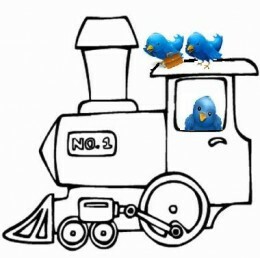 What types of information do you use Twitter for while traveling? Without a doubt the absolute best way to find a place to stay, or a great meal, or the fastest travel route is to ask other travelers where they stayed, or ate, or how they got to a place. Guidebooks can help but we all know that they are over relied upon, not updated often enough, and send all of us to the same places. What you want is up-to-the-minute information on what a hostel/hotel is like, what restaurant or food cart has the best food, where to get the cheapest beer, and where is that secret trail to the best viewpoint. When we met travelers going in the opposite direction to us, we would pump them for all this information and often I would email those that I knew had been in an area we were headed to. Everyone was always more than willing to help; providing names and phone numbers, best buses and routes, and revealing their secret finds. Twitter magnifies this whole idea. Instead of the few people I contacted by email I would now be able to tweet out questions about an area to my 1000+ followers and likely have them retweet a request to their own 100, or 200, or 587, or 17,649 followers resulting in a greater depth of information than ever before. And this information network goes beyond just your followers and your followers’ followers. 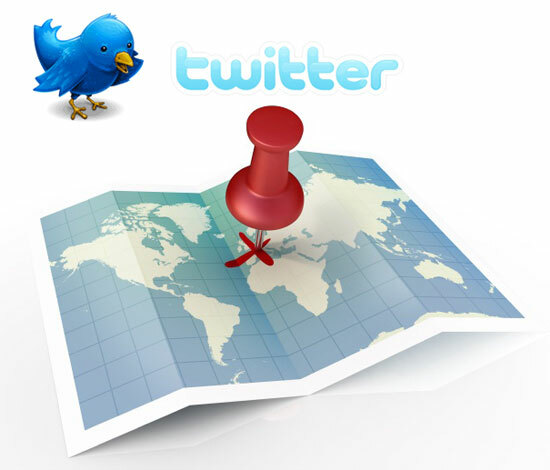 Many well-known travel companies use Twitter as a means to connect with new travelers and return customers on a more personal level. Companies like Orbitz (@Orbitz) use Twitter as a way to spread the word about contests and low-fare alerts, while others like Jet Blue (@JetBlue) use it to reach out to people who are tweeting while in flight or at the airport. Even smaller niche companies are using Twitter to connect with people and build brand awareness by offering discounted resort rentals and assistance to owners. Remember that Twitter is all about people. People who have been where you’re going and who might be able to help get you there. Who want to share what they know with you. Tweet out a question using the country or city hashtag and ask that it be retweeted.There, you’re reaching real people and potentially real companies who will often provide you with a great deal. And you can return the favor. When you’re traveling you can watch for questions that relate to where you have been and share what you have learned. If someone is looking for an airline discount or a place to stay, recommend a company or hotel that has serve you well in the past. Even at home you can help; there are people who come to visit places that you know about at home. Follow the hashtag for your city and see if you can’t help out visitors to your area. Traveling is, and should be, a social experience. An opportunity to meet local residents and other travelers; to share stories of culture similarities and differences; to break bread and drink beer. We met many people while on the road, some who we still stay in contact with and others who made that particular experience special, but I think that Twitter would have helped even more in this regard. The connections made on Twitter are far reaching and personal. Some think that Twitter is impersonal because it is so big but I find just the opposite. Being able to connect with a person one on one makes it clear that there is a person behind that @name and avatar. And it’s the connections that drive the support that you see in the Twitter travel community. Day after day I see fellow travelers reach out and help each other. Whether it’s a blogger who needs some advice as they step out and try something new, or one who needs to hear some encouraging words as they struggle a bit; a traveler feeling lonely or wondering where they should go next; there is always the community to rally around them and help boost them up, or provide advice, or be a cheering section. I love reading personal travel stories and learning about a place through the eyes of another. It can help determine where I want (or don’t want) to travel to and gives me a glimpse into how other people see the world. I already followed a good number of travel blogs but Twitter has, by far, increased my weekly reading! Not everyone on Twitter has a blog, and you certainly don’t need one to be successful on Twitter, but many do and I have found some excellent reading in the community. Many bloggers promote their blog posts on Twitter, so it’s easy to find new stories to read. Alternately you can visit a persons Twitter site to see if they have a website posted. TweetUps and/or MeetUps are a chance to get out of the cyber world and meet in the real world. It may be just a few tweeps who are in the same area arranging to meet at a coffee shop to continue the conversation, or it may be a larger affair put out to a city or group #hashtag where you can meet people that maybe you haven’t even tweeted with but who share an interest with you whether it be travel, or birdwatching, or guitar strumming. I’ve been looking on Twtvite.com for tweetups in #YYC when I move there but you could also simply google ‘travel tweetup’ (or ‘birdwatching tweetup’, or ‘guitar strumming tweetup’) to find one near you. Think it’s weird to meet up with people you don’t know? Well, you do know them if you’ve been chatting with them on Twitter and, even if you haven’t, you already have something in common and aren’t you here to meet new people? The social aspects of Twitter would surely have changed how we traveled. Being able to make connections, get advice, and feel the support would have made reaching out worthwhile. Finding new bloggers to follow and connect with would have provided a whole other level of information and meeting up with fellow travelers around the world would have been so much fun! Twitter events are like parties with in the party and the best part is you don’t need an invitation!! You might notice one is going on because you’ll all of a sudden see people you are following all using the same #hashtag and are all seemingly ‘in’ on whatever is going on. Don’t worry, I’ll explain a few that I know of to you here and, if you see another that isn’t listed here all you have to do is tweet one of the participants and ask them. It’s that easy. They will explain and, if there is a website associated, will likely point you to it. Really! People are just that nice and they want to include you. For me, there are two types of Twitter events; FollowDays and TweetChats. There are likely others but these are the ones I know of or am involved in. FollowDays are specific days where you share with your followers the people that you follow. Get it? It’s a chance to make a shout out to let others know who you are following and why. It’s also a perfect way to find other great tweeters to follow. It’s like meeting friends of friends; you already have something in common! You’ll often see people simply list a group of users that they follow but I prefer a more personal approach and I send a #follow tweet that explains why I follow a particular person. Actually, this is where the #FollowFriday series came from on OneGiantStep. I wanted to share with my blog readers those people from Twitter that I really like. Getting involved is as simple as sending out a tweet using the #hashtag for the day and the @name of the user you want to spotlight. Example: #FF @OneGiantStep because she is creating a great Twitter Travel Tips series! #TravelTuesday (or #TT) Tuesdays are reserved for shouting out travel bloggers and tweeters or those involved in the travel industry. #FollowFriday (or #FF) Fridays are a free-for-all follow-a-thon. Promote any tweeter that you like. Let your followers know who deserves special mention. TweetChats are virtual ‘meetings’. Some are just informal get-togethers at a pre-arranged time with no leader or topic; just an opportunity to connect up. Others are more structured with a theme for the chat or even a question and answer format. They all work by using a specific #hashtag to identify that you are part of the chat. **Hint** I usually set one of my TweetDeck columns to search for the #hashtag, and set that column to be right next to my @mentions column. Then I can follow the chat and keep track of any personal tweets that come my way. Tweetchats can be very overwhelming. Someone described them as ‘drinking from the firehose’. There are often hundreds of tweeters all tweeting at the same time about the same thing. Relax. Don’t try to read them all (you can’t); just pay attention to those that catch your eye and comment, ask questions, or contribute where you can. I have found Tweetchats to be very entertaining and informative; I have met plenty of other bloggers and tweeters and have learned a lot about the subjects that have been covered. #blogchat occurs on Sunday nights at 6-7PM Pacific Time. It is not specific to travel or travel bloggers but focuses on blogging in general. I have learned a lot from this one and try to catch at least some of it every week. There is usually a theme and Mark Collier moderates. It’s pretty free form with people asking and answering any questions relating to the theme. You can find out more at Marks’ What Is #blogchat post. Use the #blogchat hashtag to participate. #tni is on Thursdays at 12:30-2PM Pacific Time. Travelers Night In is more structured with a theme and a host who tweets out questions every 10 minutes. The participants format their tweets as answers to the questions. You can find out more about #tni at ZipSetGo’s website. Full disclosure: I have never attended this chat as I work during the day. Use the #TNI hashtag to participate. 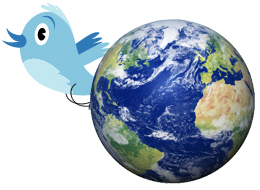 #ttot Travel Talk On Twitter occurs on Tuesdays…twice, to better catch all the time zones. Once at 1:30AM PST and again at 1:30PM Pacific Time. Visit the #ttot Facebook page to learn more. It has multiple hosts and is a question and answer format. Again, I have never followed this one either. Use the #ttot hashtag to participate. #heybackpacker isn’t an event per se but a community of travelers sharing their experiences, swapping stories, seeking advice, and talking travel. Simply add the hashtag to your tweets to join the community and meet other backpackers and independent travelers around the world. I’m sure there are other FollowDays and TweetChats as well as other Twitter events. It can all get overwhelming pretty quickly so these are the ones that I intermittently take part in. Like anything, you have to find what works for you. I usually take part in #FollowFriday and I try to get to #blogchat weekly…say hello (@OneGianstStep) if you stop by. A colleague of mine once told me a story about a Tacky Party that she went to. The idea was to dress, and act, as tacky as possible. To comply she and her husband, dressed in their tackiest finery, brought along uninvited guests and proceeded to not introduce them to anyone. How tacky is that?! I love this story and only wish that I had the balls! In Twitter, bringing a third party to the party isn’t tacky at all…in fact, it can really help you out. Once I discovered TweetDeck, TinyURL and Su.Pr, tweeting became much easier for me…I finally felt like one of the popular kids at the party! I could keep track of multiple conversations, knew the shorthand for those long, tedious web addresses and I figured out how to schedule tweets. If only I had an iPhone or other handy mobile device I would be set…I know, I know…time to get with it but, really, I’m a Luddite in a techy world. Consolidators Discovering these changed Twitter for me making it much more accessible and fun. These applications combine all social media (Twitter, Facebook, LinkedIn, MySpace etc) together so that you can easily manage them all in one place. I can switch back and forth between them or send a message to all of them at once. I can make a column for each of the lists, or searches, that I want to follow; include one for the regular timeline with all the people I follow; one for @mentions; and one for DM’s. When I’m in a #chat I can just add a column for it temporarily. There are probably dozens of ways to use them – depends on what works for you! Although I have tried each of these, and have a favorite, I won’t review them here. My advice is to try them (they all have free versions which should be more than enough) and see which works best for you. They are all pretty intuitive so you can figure them out just by playing around. If you get stuck there are always help forums on their websites or, if you like, drop me a line (or, better yet, Tweet me!) and I’ll see if I can help. Scheduling The ability to schedule tweets throughout the day was revolutionary for me. I want to publicize when I have a new post but I’m not always around when the peak tweeting times occur. Scheduling tweets lets me send posts at the times when they will reach the most readers. All the consolidating third party applications have a scheduling option, and I do use the one in TweetDeck but for some reason I seem to gravitate to Su.pr to do most of my tweet scheduling. I like the layout there better, can see the scheduled tweets easier, and I prefer the way the schedule tool works. Again, just personal preference. Twitter doesn’t like duplicate tweets. Doesn’t like as in doesn’t allow them – I guess it’s to help stop spammers (naughty, naughty spammers!). The scheduling applications I have used (Su.pr and TweetDeck) don’t allow you to schedule duplicate tweets but they don’t tell you that!!! The tweets just fail (Tweetdeck) or won’t post to the schedule page (Su.pr)…but there is no explanation. I’m here to tell you that it’s because you already have a tweet that is a duplicate. No problem though – just go right ahead and change one character in that duplicate tweet…there, not a duplicate any more. See, that was totally helpful and was probably the best Twitter Travel Tip of the whole darn series. URL Shorteners You know you only have 140 characters to get your thought across but what if you want to share a totally great website and the URL takes up 92 of those characters? Bummer. That’s where URL shorteners come in handy; they take a long website address and compress it into a much shorter version so it will take up less space in your tweet. Like magic. Okay, it’s probably not really magic but I don’t really understand how it works; I just know that it does work. Pictures/Video Another thing I see a lot of, although I don’t personally do it, is the sharing of pictures on Twitter. Like they say ‘a picture is worth a thousand words’ and, when you only have 140 characters, a picture can go a long way. There may be other picture sharing options out there, but I mostly see TwitPic being used so it must be good. I don’t post pictures so can’t say first hand. I haven’t seen any video posted but there is also a TwitVid application so it must be possible. Are you feeling more comfortable in Twitter yet? Made some friends; found some people to follow; maybe even have a few people following you? Remember, it’s like a party…you just have to jump in where you can, share some interesting tidbits you’ve found, tell a funny joke. Go ahead, I know it’s hard but it’s not like high school…really, you’ll find that people want to talk with you! You can find me at @OneGiantStep…send me a tweet and let me show you around! Twitter is all about community; the interaction and connection of all those tweeters. It’s the community that makes that cocktail party worth dressing up for! Once you’re in the door, and have yourself a drink, you’ll start meeting new people, having conversations and connecting up all over the place! Here are a few hints and tips to help you find your Twitter community. Following. Following someone means that you are subscribed to that persons tweets. Everything that person tweets will show up in your Twitter timeline. It also means that person can send you Direct Messages. Followers. These are the people that have chosen to follow you. Your tweets will show up in their Twitter timeline. You can send that person Direct Messages. It is okay to follow people (and have them follow you) even if you don’t know them or have never met. It’s part of what Twitter is about; connecting with a broader community. Lists. Lists are a great way to manage the people you follow. Instead of just seeing an endless stream of tweets from all of the people you follow, you can organize them into groups or ‘lists’ and then filter the tweets you see based on the grouping. For example I have a list that contains all the travel bloggers I follow and another one for travel related companies I follow. I also have a list for lifestyle redesign tweeters and a special list I just made of new tweeters that contact me due to this series (then I can keep in close contact with them and help them along). Finding People To Follow. You want to find people to follow so that you can see what they’re talking about and be part of the discussion; but how to find people that you might be interested in? You’ll want to look for people with common interests; or not. People who are experts in their field; or just like to talk about it a lot. Folks that share what they know; or are connected to those that do. Big conglomerates; and individuals. In short, you want to follow a wide variety of people to get the best conversation you can. Twitter | Who To Follow When you’re logged into Twitter, there is a Who To Follow link at the top of the screen. Here, you can enter in a subject area and Twitter will recommend people for you to follow based on that subject. 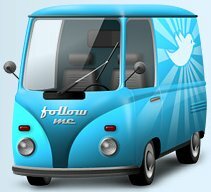 WeFollow.com and JustTweetIt.com Both of these sites organize Twitter users into categories to help you find interesting people to follow. Follow Who Others Follow If you’re interested in following someone; you like what they have to say and what they share; then look at who they follow and follow along! Conversation Remember that Twitter is all about connection and conversations. Talk to those that you follow and who are following you. The great thing about this cocktail party is that it’s not rude to interrupt; jump into a conversation, offer an opinion, ask a question…you’ll be surprised at how easy it is to meet people and how friendly people are. Next time we’ll discuss third party applications and how they can make managing Twitter so much easier. How are you doing in starting to use Twitter? Have you logged on and given it a shot yet? If not, there’s still time…get yourself an account, start finding some people to follow, and join in the conversation. Today we’ll talk about Simple Twitter Syntax; the pieces of Twitter that will help you speak in the Twitter ‘language’. There’s not much to it and it’s not that hard but, like anything, you should practice and play to get a better understanding. Public The first, and most important, thing to remember about Twitter is that it is public. 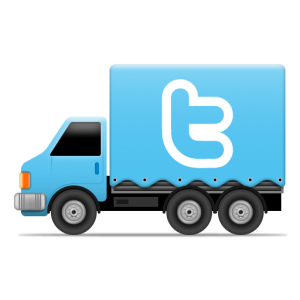 Tweets, retweets, mentions, replies…they are all absolutely, 100% available to be seen by other Twitter users. This isn’t like email where you control who sees what you write, or like Facebook where only your friends can see; everyone can see everything. Tweet The 140 character message that you send. You can simply write, you can reference other users (see below), you can add links to websites/blogs (simply drop the url into the message; use a url shortener to save precious characters), you can add pictures (more on that later)…but, at it’s heart, a tweet is a simple 140 character message. @name This is your Twitter user-name; mine is @OneGiantStep. Using a persons @name in tweets is a great way to be part of the community. @reply When you are reading a tweet there is an option to reply. Clicking on reply will start a new tweet with that username at the start of the tweet. You can then add your 2¢ to the conversation and tweet it back. @mention Placing a persons @name into any tweet will make that tweet show up in their @mention tab; they will clearly see that you mentioned them in a tweet. Retweet Retweeting is sharing what others have tweeted. You read a tweet that is funny, insightful, interesting or informative and share it with your own followers. Having someone retweet your tweets means that you are reaching a much broader audience than your own set of followers. It’s a great way to acknowledge that you appreciate what someone wrote or shared. You can retweet by clicking on the Retweet button or by prepending a reply tweet with RT. Depending on the interface you are using (we’ll talk more later about 3rd party applications) you may or may not be able to edit a retweet. Placing an RT in front of a reply will give you the option of editing the retweet; you can add comments before the RT or at the end of the message…but you still can’t go over 14o characters! Be creative. Direct Message The only way to send a private message to another user is to DM (direct message) them. DMs are like Twitter email and can only be viewed by you and the person you sent it to. You can send a private message (only to someone who is following you) by clicking on the Message option or by prefacing your tweet with DM. #Hashtags Hashtags came about through Twitter users and the desire to be able to tag tweets that are related to a particular subject. If you include a hashtag in your tweet, that tweet will be included in the list of tweets when that hashtag is searched. Make sense? For example you can use the search function to search for all tweets that are tagged with #rtwsoon. 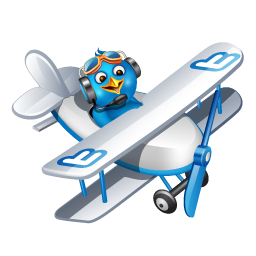 This hashtag is used to identify tweets that might be of interest to those that are going on an RTW trip soon. You can include the #rtwsoon hashtag in any of your tweets that might be of interest to this group too. Next time we’ll talk about following, followers and using lists to manage it all. Some of you may already have a Twitter account. Some of you created one since the What The Heck Is Twitter post; I did notice a few new names in my follower list yesterday…hello to @nomadseen and @jayner72…good work on setting yourselves up and finding me! But some of you out there reading may be unsure of how to even set up a Twitter account. So, let’s start at the beginning. In this video I’ll go through a quick Twitter account set up and point out the pieces that will make a difference as you move forward connecting with people. To those of you that already have an account; send a tweet my way to @OneGiantStep…I’ll respond to your tweet and we can get connected! 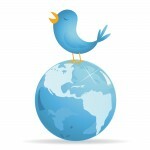 Twitter Travel Tips: Setting Up Your Twitter Account from Gillian Duffy on Vimeo. Twitter is a ‘micro-blogging’ site where you can post 140 character bites; that’s about 25 words. Short and sweet…that’s the point. It’s not about long diatribes or novel writing but more about information updates and community building. It runs on a continual timeline meaning that, unlike a blog, items aren’t organized into categories or pages and, if you aren’t ‘on’ Twitter at a particular time you will miss all that is happening at that particular time. But don’t worry, that’s okay; one of the first things you have to get over is that you might be missing out. Just enjoy what is happening at the time. The classic Twitter analogy is to compare it to a cocktail party…and I think that’s what scares most people. Who wants to go to a party where you don’t know anyone? You walk in the room and it seems as though everyone knows everyone else and they are all having a fabulous time. Well, it’s really more like a party you went to in college; you know, after a couple of beers when you felt a little more social and maybe you did have a friend or two that you could drag along with you. You might wander around a little at the party; see what’s happening in the other rooms, find the bar and the snack table; you’ll likely stumble upon a group or two that are interesting to you and that will open their circle a bit and let you in on the conversation. Before long you’re laughing, and chatting, and sharing; making new friends and reconnecting with old ones and you really can’t remember why you were so hesitant to come in the first place! Just like any party though, it’s better if you do a little prep ahead of time. You know…figure out what to wear; how your going to get there and home; what to drink; should you bring a gift? It’s not that complicated and, really, you’ll have a good time! So, come along for a bit and let me show you around. I’ll introduce you to some terms and how-to’s; we’ll get some tools to make it easier and find the ‘party within the party’. At the end you’ll realize just how Twitter can make your travels easier too. So, how about you get yourself a Twitter account so we can start putting the tips to use asap? You can find me at @OneGiantStep…and don’t worry if you don’t even know what that is yet…we’ll cover that next time!